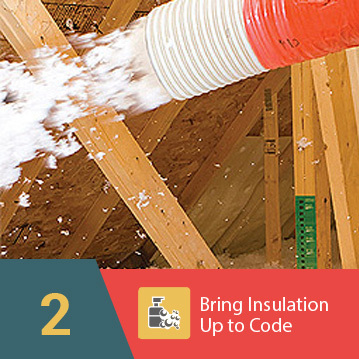 Many homes that were built in the past have insulation systems that have never been updated since they were constructed. If you live in one of these older properties, our team can modernize your insulation system so that it can be brought up to date with current state and national standards. 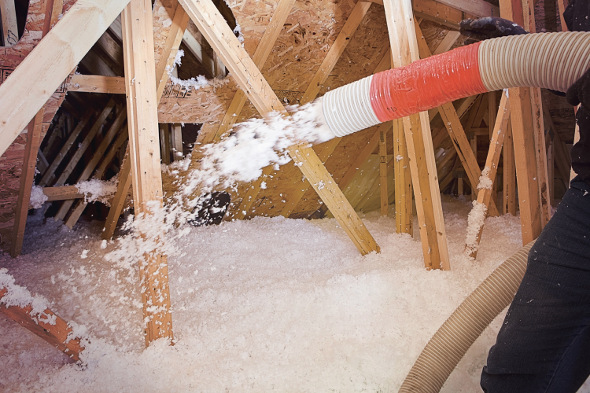 Blown in insulation is an integral component of the comprehensive attic insulation system that eShield™ proudly offers. Our fiberglass insulation is 100 percent recycled and is the only insulation in the world that is guaranteed to remain at its original R-value level for as long as you own your home. When you invest in this quality product, you can rest assured that you are purchasing insulation that will help increase the energy efficiency of your home, cut down on monthly electric bills, and reduce your carbon footprint. The team at eShield™ is dedicated to helping our customers bolster their home’s energy efficiency, which is what led us to develop “The Perfect Attic System,” a unique approach that incorporates our blown in insulation, as well as our air sealing services and multi layer thermal reflective radiant barrier insulation. 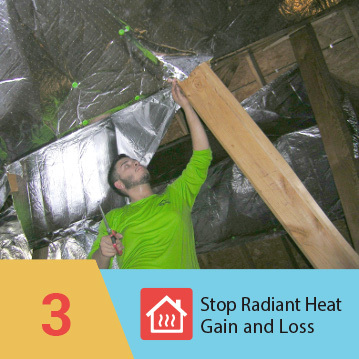 In most homes, the attic is one of the main areas where heat enters and exits the home, making it difficult to keep the temperature of the home regulated. 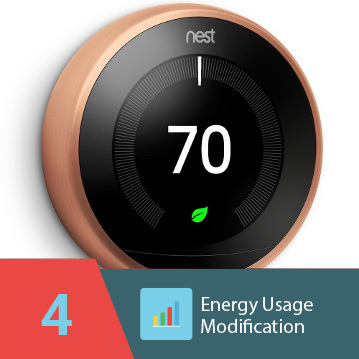 However, once our comprehensive insulation system is in place, it will immediately cut down on all three forms of heat flow that can affect a home – conductive, convective, and radiant – which will significantly reduce heat transfer and save you money on your monthly electrical bills. One of the biggest benefits of turning to eShield™ for your blown in insulation needs is that we’re able to offer a Lifetime R-Value Guarantee. 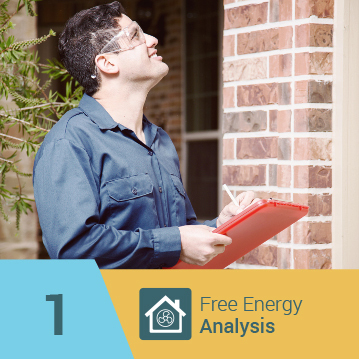 If at any point – for as long as you own your home – your insulation fails to live up to our high standards of energy efficiency, our insulation team will refill your attic to the appropriate level for free.